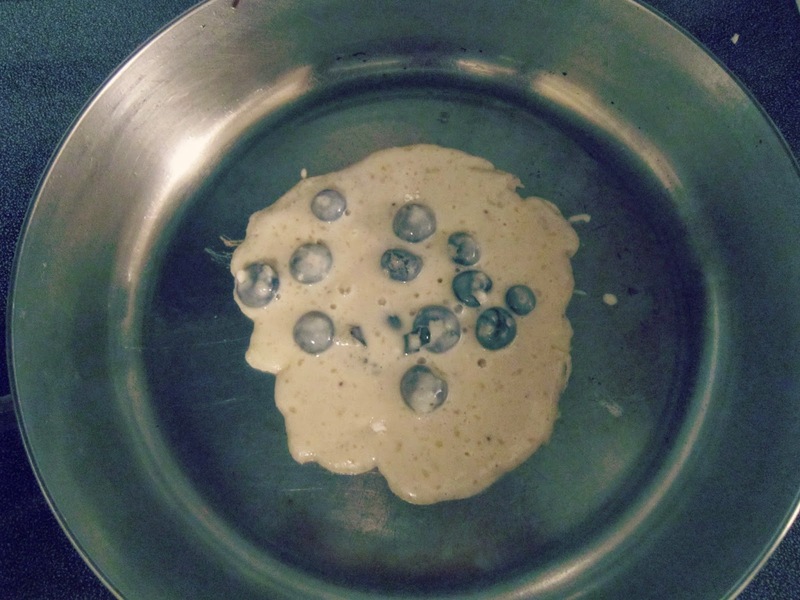 Acoustic Erin: "Life Is Too Short Not to Make Pancakes at 1 A.M."
"Life Is Too Short Not to Make Pancakes at 1 A.M."
While admittedly this is not the most glamorous photograph of a blueberry pancake ever taken, and although the image does not do my sister's final, insane creation the justice it so rightly deserves, it will have to suffice. For no reason at all, my sister decided at 1 a.m. that she needed pancakes, and when your sister needs pancakes, you let her make them. And then you sit and eat up the offerings and wonder how you got so lucky as to have a mad chef of a sibling.